How Your Facebook Fans Are Like Your Wife - Before You Married Her - darbyDarnit! Fair questions, especially how conditioned we’ve become to chasing the short-term gains, approaching every channel as a direct-response revenue trigger, and lamenting every time an audience doesn’t open their wallet or purse – even after just the first interaction. 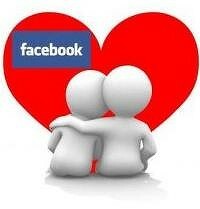 Successful business development, dating, and Facebook engagement efforts all involve a courtship. For professional service providers – whether attorneys, management consultants, or public relations reps – the keys are to be perceived as competent, for the prospect to have a need, and to be top-of-mind when that happens. Being likable is helpful, since people like to do business with people they like, but not absolutely essential. For other organizations, the key is successful engagement that grows over time. Engagement (of the social, not nuptial, sort) starts with listening, responding, storytelling, entertainment. Multiple interactions on this level facilitate relationships. Relationships fostered over time build trust. And trust opens the door for support and action. Successful relationships take time. Successful Facebook engagement takes time. And if you truly care about your connections, your Fans, your supporters, your audiences, your girlfriend, your wife – then you don’t start with the proposal. You don’t start with the ring. First, convince them you are worthy of their accepting it. *This article on Facebook engagement clearly was directed toward men. Women already know all of this.